2) We may be receiving fewer items that we had hoped, due to the rushed nature of the breakdown of the Solar Decathalon event (The Department of Energy and student teams have tried their best, but they have to dispose of everything super quickly before their houses are hoisted onto flatbeds. This was the first year they donated leftovers to us, but we have heard that reuse may be more integrated into the next Decathalon in 2013). At this point, we will not be able to donate materials to any nonprofits that have not already contacted us and received a reply. We are very sorry about that (We’d love to give everything away, but as a local nonprofit ourselves, we need to sell enough plants to cover costs for labor and the truck we rented to pick it all up). You may still email your nonprofit mission and 501c3 number to Ruthie(at)communityforklift.org, and you will be placed on a wait list in the order your information is received. If some of the first groups do not pick up their items quickly, we may contact you. If, however, you don’t want to take your chances on the wait list, we’ll still have the low-cost plants & materials available for sale at our thrift store starting Wednesday at 10 am and continuing while supplies last. We will not be able to announce the prices until we know what items we have, but they will certainly be a good deal cheaper than retail value. Lastly, we do make periodic donations of other types of building materials to nonprofits throughout the year, so do not hesitate to ask us for help in the future! ABOUT COMMUNITY FORKLIFT: We are a nonprofit thrift store for home improvement & architectural salvage, located 5 min. outside the NE DC line (for directions & hours, call 301-985-5180 or visit www.communityforklift.org). 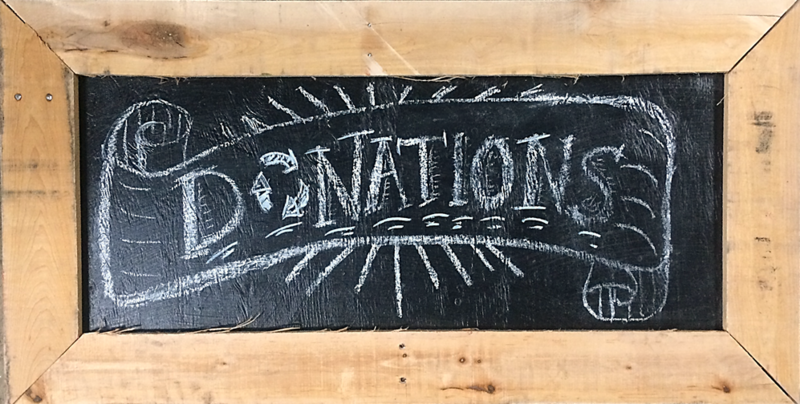 Instead of donating clothing or couches, folks donate renovation leftovers like cabinets, doors, lights, and lumber. The building materials are then made available to the public at very low prices (40% to 90% below big-box stores), and donated to local nonprofits. To improve our financial stability, we have also brought in consignment partners to offer higher-end products: unusual antiques & primitives, raw-edge hardwoods, & reconditioned appliances. We are owned & operated by local 501c3 nonprofit Sustainable Community Initiatives, so donations are tax-deductible.